We’ve been mindful about what goes on your skin with our soap, and we continue to care about what you wear with our limited-release T-shirt. This lime-colored cotton gem is perfect for a trip down the trail, a night out with your bros, or a post-shower lounge around the house. 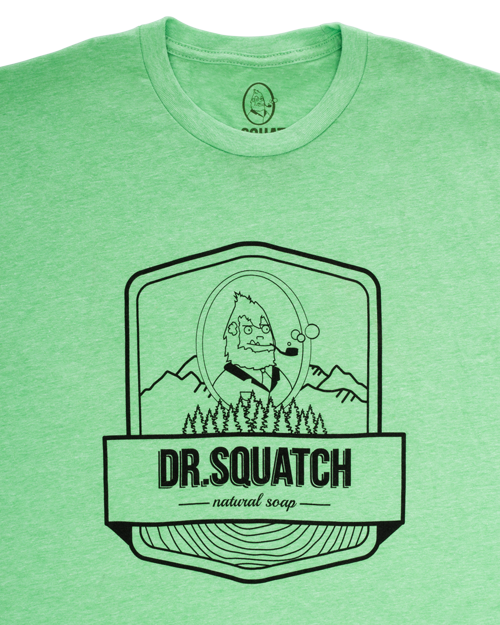 The next best thing to putting Dr. Squatch on your body is putting him on your shirt!